Did you know that there were more than an estimated 7,500,000 property crimes recorded in 2016? In Trenton and Hamilton Township alone, one in 37 properties incur burglary, theft, damage, or other related property crimes annually. So, what are criminals looking for when they “case” a home? 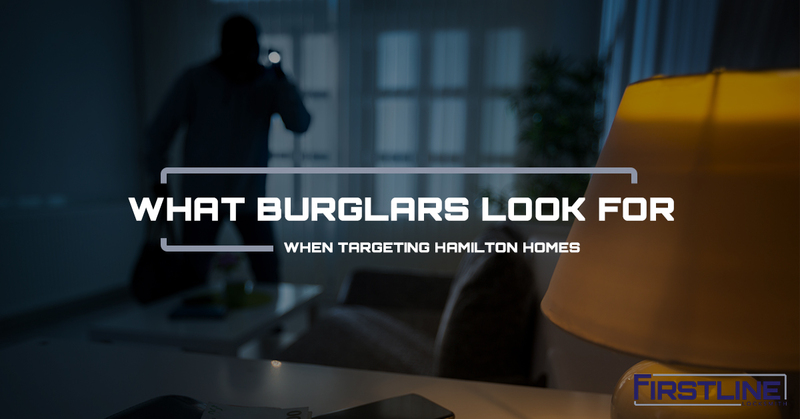 In this post, Firstline Locksmith will share with you what burglars are actually looking for before they target a Hamilton home, what you can do to deter criminals, and why it’s important to contact a local locksmith in Hamilton for help to improve home security. Ready to take action and secure your home? Give us a call today! Otherwise, continue reading to learn more! What Does A Burglar Look For? A criminal’s decision to break into a home, if not premeditated, is pretty straightforward. They ask a number of questions. Does the home look like an easy target? Does it have a hidden entrance or window that’s accessible? What are the patterns of the people that live there? Most criminals look for homes that are secluded or isolated so they can decrease their chance of being seen or caught. Finally, criminals look for all of the above, as well as, a home with expensive cars, a well maintained yard, and a newer looking home. This isn’t to say you should avoid these possessions, but it does increase the chance that your home may be a target. When Does A Burglar Strike Most Often? Most people assume, due to movies, that burglars strike under the cover of night. While this may be true in some cases, criminals will strike when it’s convenient for them. If you leave your home at six in the morning every single day and do not return until five in the evening, the burglar will attempt a break-in between those hours, even in broad daylight. Consider when people are at home? It’s usually at night. Neighborhoods, for the most part, are relatively empty during daylight hours, which make them more susceptible to burglary. How Do Burglars Break Into Most Homes? There are at least a dozen ways for someone to break into your home. Two of the most common entrances are doors and windows. You could have glass in your front door. Although this aesthetic is beautiful, the criminal can smash the glass, unlock the door, and gain access to your home. Do you have a window air-conditioning unit? These units are relatively easy to pull out of a window and give access to anyone looking to get inside. Finally, the stereotypical ways to gain access to your home include picking locks, finding an unlocked entrance, or stealing keys. Upgrade Your Windows – Install blocking devices; upgrade window locks; replace glass with burglar-proof glass; add security/alarm warning stickers on windows. Ready to improve your home security? Firstline Locksmith has been servicing Hamilton and the rest of New Jersey for more than 25 years. We’re you’re expert local locksmith. Call us today!